Now that I am blogging more regularly because of working with Mosaic Reviews, having a blog planner is a bit of a necessity. As part of the team we were given a few to choose from to use and review as our first official review. 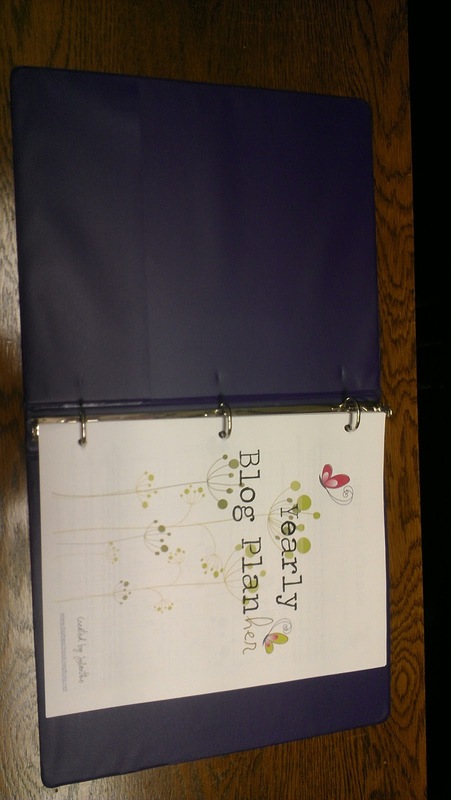 I chose Homeschool Creation's yearly blog planner to use. You can find this planner for FREE here. The reason I chose this planner was because I liked the clean format and the simple look of it. I don't like too much "stuff" on my planner. I like to be able to make it my own. It is easy for me to use because I can see my month and reviews that are due that month, flip the page and see what blogs I have scheduled during the weeks. I usually keep my planner open to the week page so that I can see what I am supposed to be working on for the upcoming blog posts. I don't use the extra pages in the back of the planner because I have a small blog. I don't have incomes and expenses, I don't watch my website analytics, nor do I follow certain hashtags or link-ups regularly. However, those pages could be very handy for people who are growing their blogs or are using their blog as a source of income. I added on some extra pages for myself at the end of the planner to help me write up my reviews and keep track of the products I will be reviewing. Plenty of room to jot down notes, ideas, etc. What do you use for your blog planning? Let me know if you try this out. Maybe you have some ideas to make it even better!